Almost one in 10 Britons are set to take a holiday during the extra bank holiday this summer, according to new research. The study, carried out by travel association ABTA, looked at people's plans for the Queen's Jubilee Bank Holiday on the first weekend of June and found that six million Britons are looking to take a break. More than a third of that figure intend to get out of the country. When applied to the general population, the poll of 2,044 people suggested that 2.5 million people intend to hold a Jubilee party of their own. The layout of the Bank Holiday, which sees both Monday June 4 and Tuesday June 5 circled on the calendar, means that canny workers need only log June 6, 7 and 8 as leave in order to get nine consecutive days off. 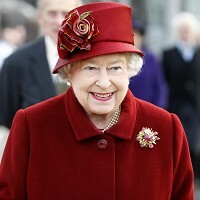 Commenting on the survey's findings, ABTA chief executive, Mark Tanzer, said: "The country clearly has a great deal of affection for the Queen, with millions intending to have a Jubilee party. The extended June Bank Holiday will also provide a shot in the arm for the British travel industry." However, those intending to journey overseas during the upcoming Bank Holiday will need to ensure they budget for travel insurance and other holiday essentials.